You’ve just loudly announced to your toddler that it is almost bed time and that he will need to pick up all his toys and put them back in their respective places, or else he’s not getting a bed time story today. And surprise - your young one completes the activity without actually complaining. ‘Win!’ you think, and contemplate sitting down for a few brief seconds to rest your tired feet before you hear a loud crash from the bedroom. Reluctantly, you get off the sofa and walk up to the room and peek inside. Suddenly, the place looks like a war zone. Except, that the war is just about to begin. Sometimes, I think that we don’t realise we have a temper till we have kids. Okay, that may be an incorrect observation. I’ve always been on the higher end of the temper scale. And patience has never been one of my strong suits. But raising a toddler can just be a very strange experience. On one hand, you have good times and the ‘firsts’ of many life activities - words, walks, eating alone and what nots. On the other, you have your uncontrollable rage when everything just goes slowly from good to bad to worse to …well, you get the drift. When things are good, you are quite literally on the top of the world. And then when things get out of hand, you feel awfully depressed. “It’s like there’s rock bottom, then 50 feet of crap, and then me!”. If you’re one of those ‘goody-two’ shoes parents who has NEVER lost your patience with your child or if your little one is a blessed angel who has never pushed you over the edge, kindly take a minute, while we applaud you. And now, look away. Because you’ll probably never understand the points that I am likely to discuss ahead. For the rest of us ‘normal’ parents, you may continue. Now, I am not (nor will ever be) an expert when it comes to parenting. Honestly, there are days where I sincerely wonder how I would have fared, had there been a test for parenting. Probably would have failed. But here’s the thing. A toddler who is in the middle of his/her tantrum phase can break even a saint’s patience. Of course, Zen mothers are exceptions. Coming back to the topic though, never in a million years would I have imagined that someday I would write a post about feeling bad because you yelled at your kid. But well, here I am. Parenting does make me do weird things. If you win, sometimes you're actually losing. And sometimes when you lose, you're actually winning. I usually don’t share posts. So when I do, that means it’s touched a chord with me. 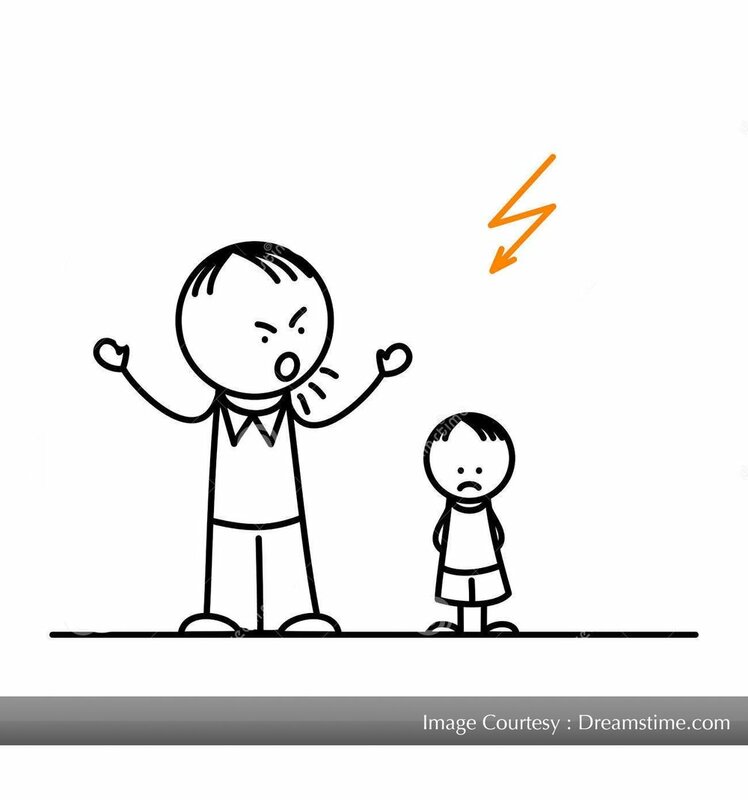 Here’s a post by a dear friend and mom-blogger, Shailaja, about her travail with yelling. One of the things I love the most about her blog (not just the post) is the little widget in the sidebar that says how long it has been since she last yelled. It’s an amazing ‘visual indicator’ that makes you think and realise that you could be a lot closer to ‘Zen’ Mode than you think. If you must know, my counter has just reset. Hopefully, I can go a while before it resets again.